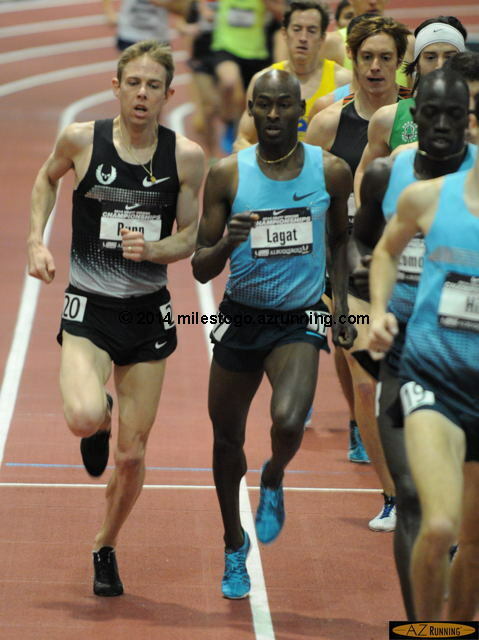 Bernard Lagat prevailed in a highly anticipated showdown with Galen Rupp in the men’s 3,000 meters, to end the second day of competition at the 2014 USA Indoor Track and Field Championships. 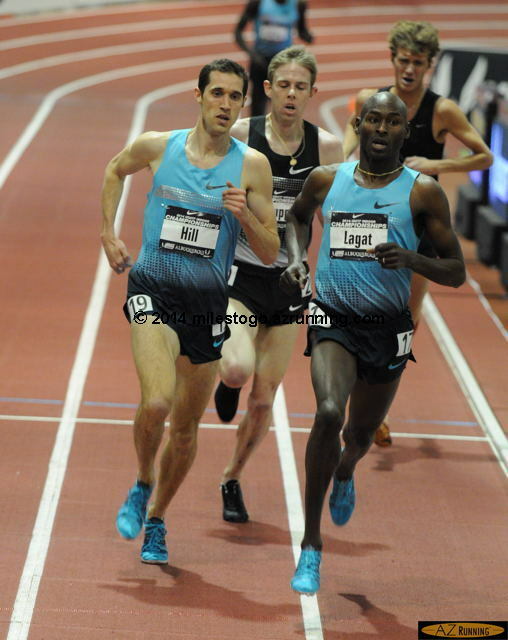 Lagat’s winning time of 7:46.01 is the fastest time run by an American in meet history. …and sliced through lapped traffic to claim the victory. 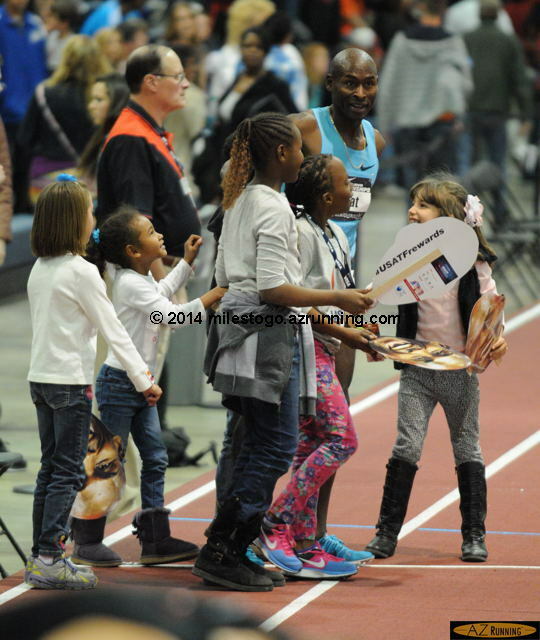 Lagat celebrated the victory with a group of young fans. 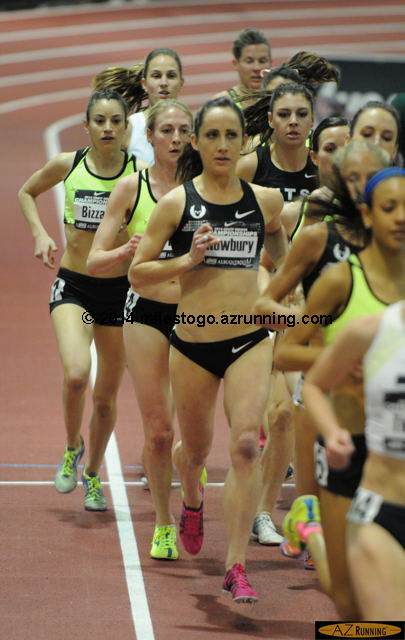 Gabriele Grunewald was first across the line in the women’s 3,000 meters. However, after several protests, the Jury of Appeals disqualified Grunewald for impeding another runner. Shannon Rowbury was declared the winner, with a time of 9:25:49. 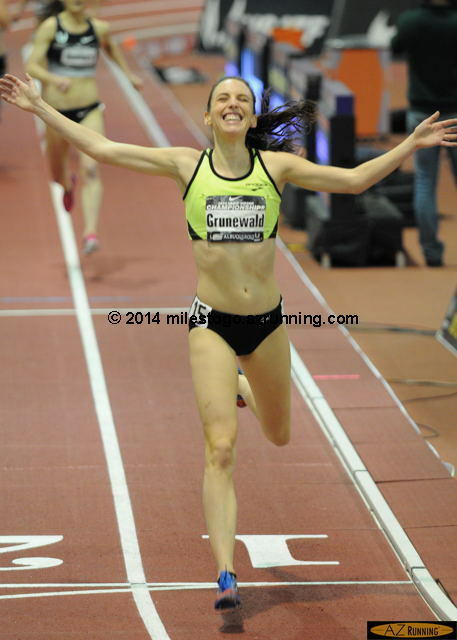 UPDATE 02-24-14 Grunewald was reinstated as women’s 3,000 meter champion. 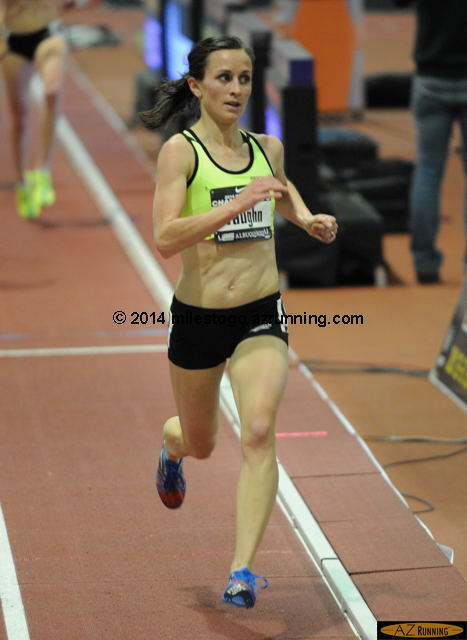 Sarah Vaughn placed second in the women’s 3,000 meters, with a time of 9:26.46. The 2014 USA Indoor Track and Field Championships serves as the selection meet for the members of Team USA. 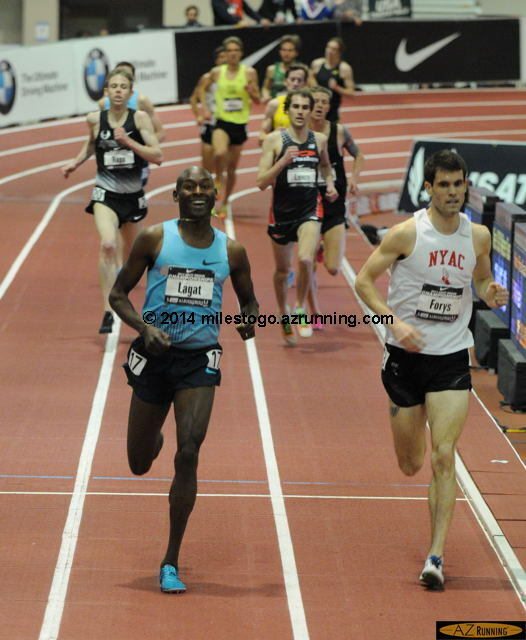 Top finishers in each event will represent the U.S. at the 2014 IAAF World Indoor Championships in Sopot, Poland, March 7-9. This entry was posted on Sunday, February 23rd, 2014 at 7:07 am	and is filed under Athletics. You can follow any responses to this entry through the RSS 2.0 feed. You can skip to the end and leave a response. Pinging is currently not allowed.